Every year, General Motors’ color and trim designers from each region converge at the GM’s Design Center in North America to decide what colors to offer on future vehicles based on customer preferences, supplier insights, and other industry trends. By doing so, GM is able to offer Chevrolet vehicles in a wide range of hues that balances the need for customer appeal across many markets and product differentiation within specific markets and segments. For example, most Asian customers choose white, black, silver, or grey, because neutral tones are widely accepted and may help ensure high resale value. On the other hand, some customers want a more lively hue to express their personality. 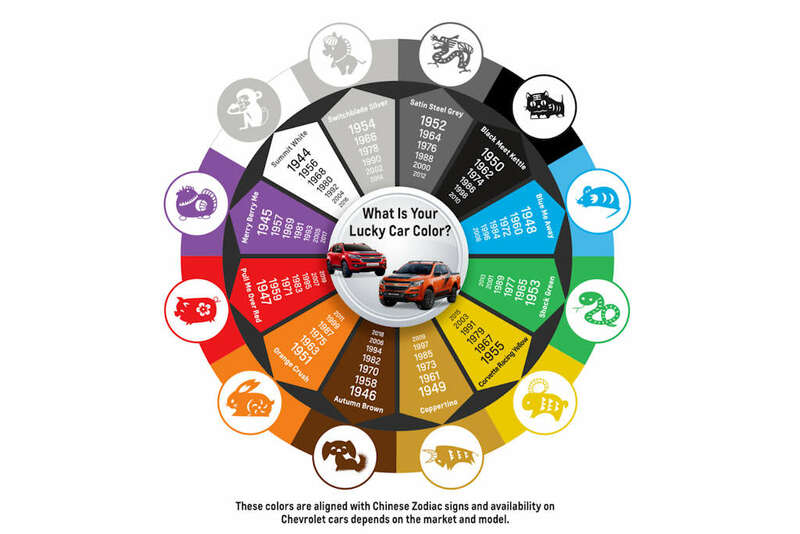 To that end, GM designers have made it possible for customers to choose Chevrolet Spark in fashion-forward colors such as Merry Berry Me Metallic or Caribbean Blue Metallic–options not offered on other models. Another factor in color selection for Asia Pacific markets in recent years has been the growing influence of the China market, where red represents happiness and positivity, white is associated with new beginnings and smart technology, and black connotes power and prestige. Recent data shows red, white, and black gaining popularity in Asia while interest in silver and grey is waning. Not only can colors have specific connotations, they also can be considered lucky. According to some sources, zodiac colors such as vivid red, azure blue, white, and gold are considered lucky for Chinese New Year 2019, the Year of the Pig. Chevrolet offers vehicles in many of these shades, depending on model and market. GM works closely with exterior paint suppliers to formulate the right shades, and many of them issue trend reports with findings that reflect the design decisions made by GM and other automakers. 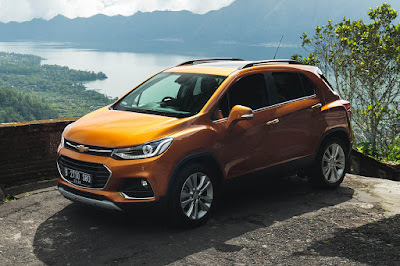 Axalta, an automotive paint supplier, recently named golden-bronze “Sahara” its Automotive Color of the Year, because the tone “radiates warmth, richness, and strength.” Chevrolet introduced a similar shade called Coppertino as its hero color for Chevrolet Trax in Indonesia last year. In the Philippines, the Trax now comes in the color Burning Hot Metallic. Based on GM research, one of the interesting theories found about the rising popularity of those colors is people’s growing interest in space exploration. Regardless of the color a customer chooses, with proper care, they can expect their Chevrolet car’s paint finish to last without dulling or fading for at least 10 years thanks to General Motors’ Built-In Quality paint application processes used at its manufacturing plants around the world.